It’s that time of the year again. 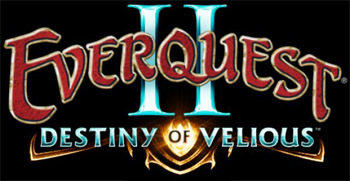 Another Everquest II expansion comes out tomorrow and this one returns to the land of Velious. I used to be a long time player of EQ2 but my move to a shift that kept me from playing with my friends has kept me out of the game. Most of what I’m getting is coming from what I can find online. Among the added features are flying mounts, 2 new zones, new dungeons, items, and quests. This is not a level cap increase year and no new races like Cataclysm brought to World of Warcraft. I’m hoping the “flying mounts” are true flying mounts that you can control direction on and not just point to point pathed ones like there already are in many zones. I guess I can just hope for the best. Only time will tell how things go. Maybe I’ll give it a try.